Where do great ideas come from? A popular notion among creativity experts is that recombination of preexisting ideas in a new context is the form that most if not all creativity takes. One more datum: Courtesy of my lovely wife, it seems that George Lucas may have been voguing, so to speak, when he came up with one of his most iconic images. The patent system is “a real chaos”. Its faults were laid bare yesterday in an extensive New York Times article, which quickly reached the “most emailed list” (The Patent, Used as a Sword; and see Melissa Schilling’s review). But the same article also hedged by reminding us “patents are vitally important to protecting intellectual property”. But is intellectual property really essential for innovation? For an answer, look just a little past commercial software and you will see vast open collaboration without patents or copyright. Wikipedia, an open initiative, answers many of our questions. 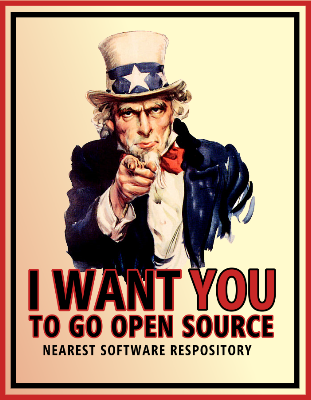 Open source software such as Linux and Android power most commercial websites and mobile devices, respectively. In myriad forums, mailing lists and online communities, users contribute reviews, provide solutions, and share tips with others. Science has been progressing by enlisting thousands of volunteers to classify celestial objects and decipher planetary images. Innovation without patents is real. Researchers estimate that open collaboration and user innovation bring more innovation than than the patented kind. Our legal and commercial system can do more to encourage it. My colleague Josh Gans recently turned me on to UBER, a smartphone-based taxi service. I used it for the first time yesterday to get to the Toronto Airport. I’ll be surprised if this technology doesn’t eventually kill the taxi business as we know it. From the user’s perspective, you simply download an app and sign up for the service online. When you want a cab, you open the app. It shows you all the Uber vehicles around you on a google map. It tells you how many minutes it will take for one to get to you (in my case 8). You hit a button and, if you are so inclined, you can watch your car approaching on the map. A few minutes later, viola!, you receive a message telling you your cab has arrived. Our car was a spotless black limo-style sedan. The transaction is handled through your account with them via your credit card. No money changes hands with the driver (tip is included) and a detailed receipt is immediately emailed to you (great for expense reports). The cost in our case was identical to the standard fare + tip. As far as I’m concerned, the experience dominated that of the status quo by a significant margin. It got me to thinking about the business model. As an investor, I would always be wary of any business 3 computer science grads from MIT could replicate in a basement. I can’t imagine there is anything in the Uber technology that creates a meaningful entry barrier. Moreover, unlike a Facebook type business, there don’t seem to be any network externalities working to the advantage of the first-mover. On the other hand, there are non-technology features of the business that are central to its success and, perhaps, not so easy to replicate. The most obvious is setting up a base of independent drivers. I was chatting with our driver and learned that substantial resources are devoted to vetting drivers and, once they are on board, regularly checking up on them to make sure the standard of service (car cleanliness and so on) remain high. That requires some infrastructure and know-how. Then, there are the reputation effects. Strong reputation is going to be a substantial benefit on the supply side – i.e., recruiting and maintaining good drivers. Plus, for the first time, a supplier of taxi services can build up not just a national but international retail brand. That’s a big deal. Apparently, Uber does not have to contend with local medallion laws — the cars are not marked and cannot be hailed from the street. This will help them a lot in expanding their business. Still, the service only works for people with smartphones — a big limit to growth, at least for now. Also, it is hard to imagine that one or two competitors won’t take a run at them, especially if (as I suspect) this business really takes off. When that happens, who is going to appropriate the value? What is scarce in this situation? There appears to be no shortage of taxi drivers, though being able to find and maintain top-quality ones should confer some advantage. Also, my intuition is that the market will support two or three such businesses, not tens or hundreds. So, oligopoly prices under constrained capacity, at least for the high-end, high-quality version of the service, are likely to obtain. Yet, the arrival of competition will surely send some additional value the consumer’s way in the form of lower prices. And this is not exactly a high-margin business to begin with. Therefore, at some point in the future, expect to see an established Uber lobbying local governments to regulate its segment of the business — waxing poetic on why it is in the public’s interest for cities to issue them some form of competition-inhibiting, medallion-like licenses of their own.